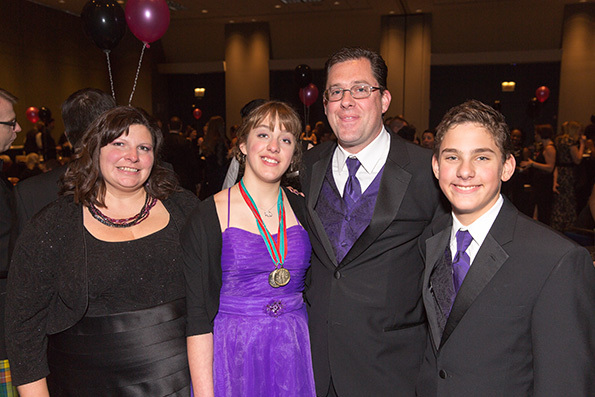 Justin, who prefers comic books to compositions, had won the “Special Olympics Illinois Share Your Story” contest with his 424-word piece “My Big Sis, My Hero,” about his 13-year-old autistic sister Jennifer Grammer, a Special Olympics swimmer. 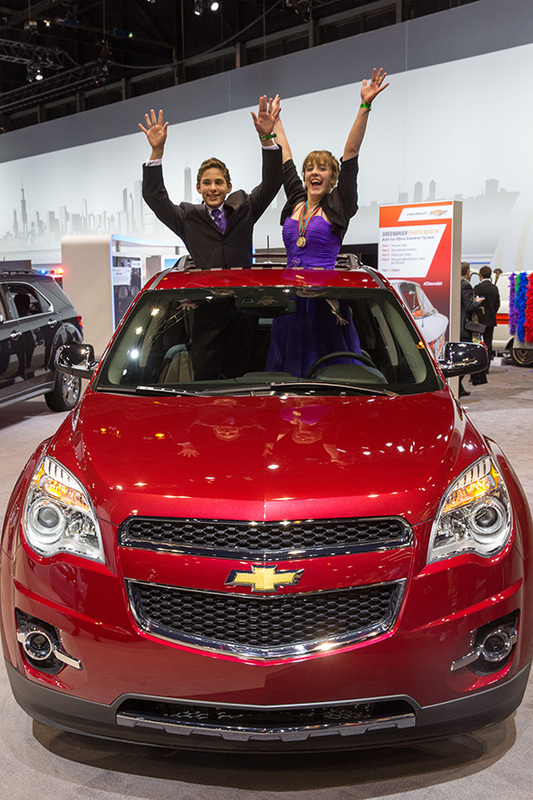 The prize was attendance at Friday’s “First Look for Charity” event at McCormick Place, a pre-opening gala of the 2014 Chicago Auto Show. The gala benefited 18 charities, according to www.specialolympicsfirstlook.org. This was the first time he had ever won a contest, Justin said. Jennifer Grammer of Joliet, Justin’s mother, couldn’t be more proud of her son. Oftentimes, Justin was at the receiving end of Jessica’s outbursts, Jennifer said, but that did not deter his commitment to her. Despite Jessica’s challenges, she returned that love and adoration. When Justin learned to ride a two-wheeler, Jessica learned to ride one, too, he said. When Justin swam, Jessica paid attention and imitated him, he added. Those victories are Justin’s victories, too. Not only are this brother-sister home-schooled duo each other’s classmates, Justin attends all of Jessica’s swim meets and practices with her six days a week. Justin is quick to point out the benefits he’s received from Jessica and their association with Special Olympics. The other participants, Justin said, are friendly, “happy all the time” and persistent in their quest of success. “They’re totally different than what you see in everyday life,” Justin said.